There’s nothing quite like Rowans when you want to get into real American retro-style 10-pin bowling for all the family at North London’s Finsbury Park. Rowans bowling means two floors of non-stop, round-the-clock entertainment featuring 24 fully air-conditioned bowling lanes so the party never stops! Plus licensed bars with 14 pool tables, amusement arcades and giant overhead sports screens, so you never miss a single sports event and always enjoy a great time out for you, your family and friends. And if you’re looking for a kids’ party venue with a twist, then turn on to Rowans’ children’s bowling parties. Our hosted children’s parties feature kids’ bowling and dancing with amazing all-in birthday packages and a choice of kids’ favourite food and drinks. 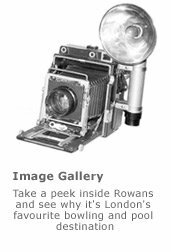 And remember, Rowans is much more than a 10-pin bowling alley. Rowans Bowling. The best fun bar in North London, bar none. Rowans retro bar is always open till late. Swing by for a drink after work and a game of pool in the biggest, coolest pool venue in London. Add live DJ’s, great dancing, wicked Friday and Saturday Nights, guest beers from around the World and you have a bar and atmosphere that always gives you a great night out. Rock and Rowans. You just can’t beat it. 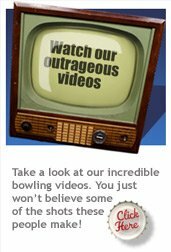 Click here to book bowling for 1 to 24 people. Click here to request a booking for a children’s party. Group Booking +25 – Booking Request. Click here to request a booking for an adult party for over 25 people. Click here to request a booking for a karaoke party.